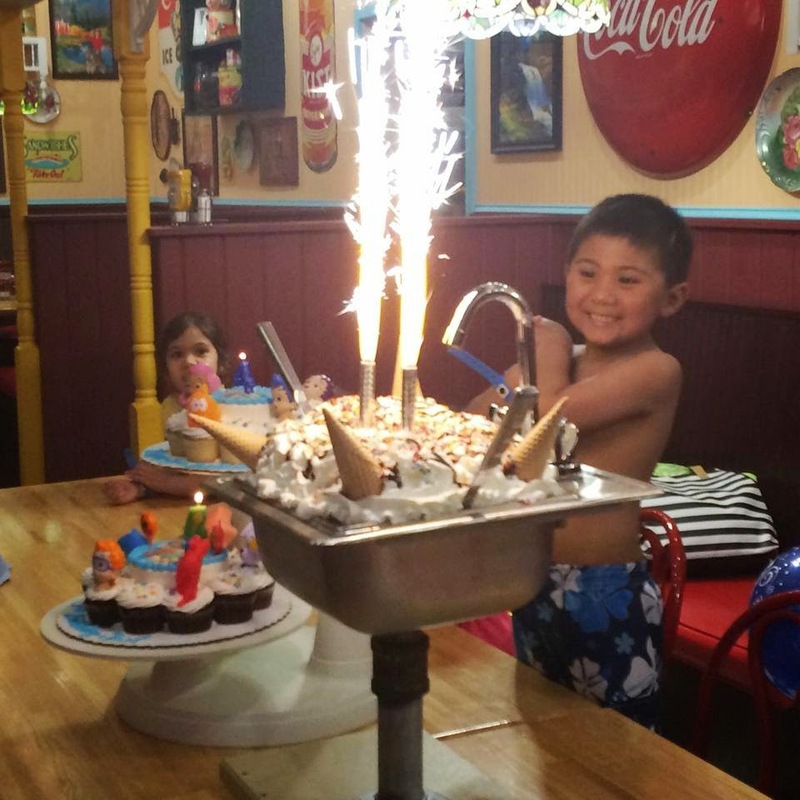 Saturday 5/10 - We celebrated Joel's 4th birthday at a local waterpark resort, Key Lime Cove. It was a small celebration with family and close friends compared to last year's birthday. Joel has been into the Nick Jr. show, Bubble Guppies, and this year, he wanted to have a Bubble Guppies birthday theme. 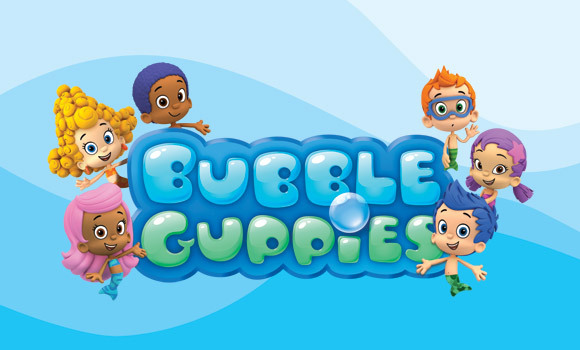 The guppies live underwater in a town called Bubbletucky and each episode is focused on learning about various topics. In keeping with the theme, it seemed only fitting that a Bubble Guppie birthday party be held at a waterpark, which is how I decided to have it hosted at the waterpark resort. The staff was great to work with and even better was knowing my guests had a great time. It's a huge resort and the waterpark is pretty impressive. 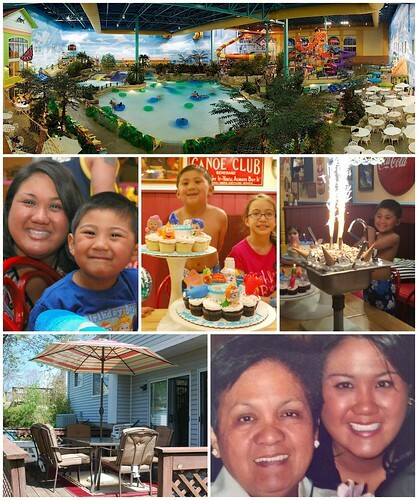 With 5 large waterslides, wave pool, lazy river, hot tub/whirlpool, 3 kiddie waterslides and a water playground for kids, there was something for everyone. And for our guests who didn't swim, we enjoyed cocktails overlooking the resort. For the party, I used these cute invitations from Etsy. 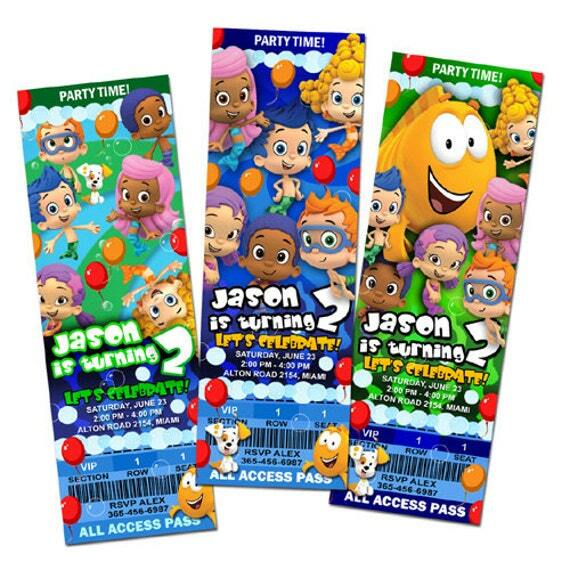 The kids loved the ticket style and they're a fun and creative invite to pass out. 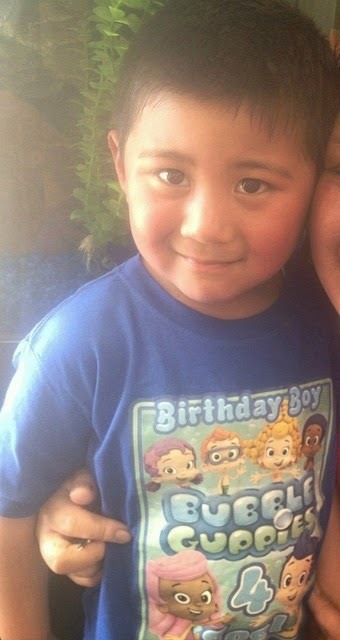 Joel sported his customized Bubble Guppies birthday shirt, also from Etsy. He loved wearing it on his actual birthday to school (on May 8th) and again for his party. 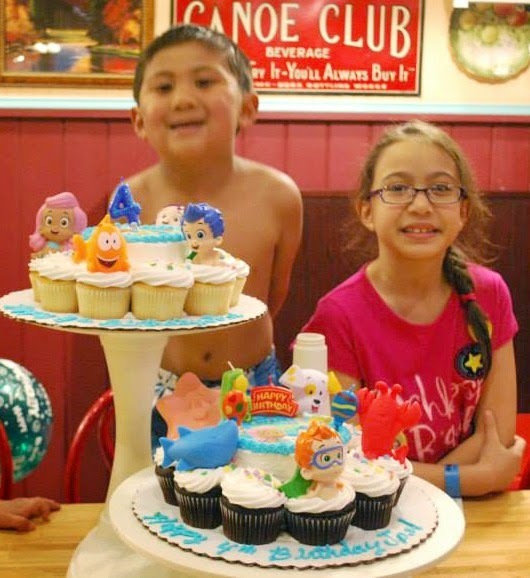 So instead, I used squirt toys as cupcake toppers instead and they doubled as toys the kids could keep and use in the waterpark. For favors, the kids received a Key Lime Cove beach towel and I made these treat bags filled with goldfish crackers. 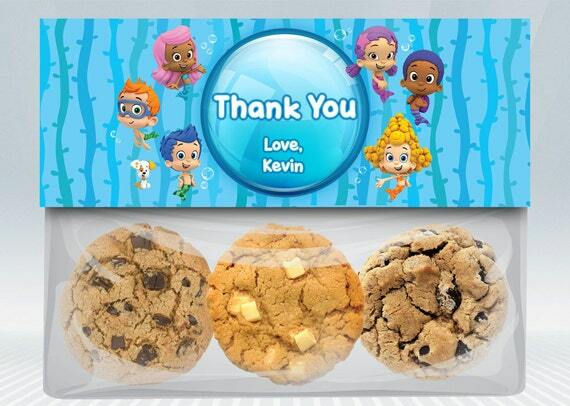 The kids and adults loved them and they were easy to print out at any photo shop, fold and staple onto snack bags. 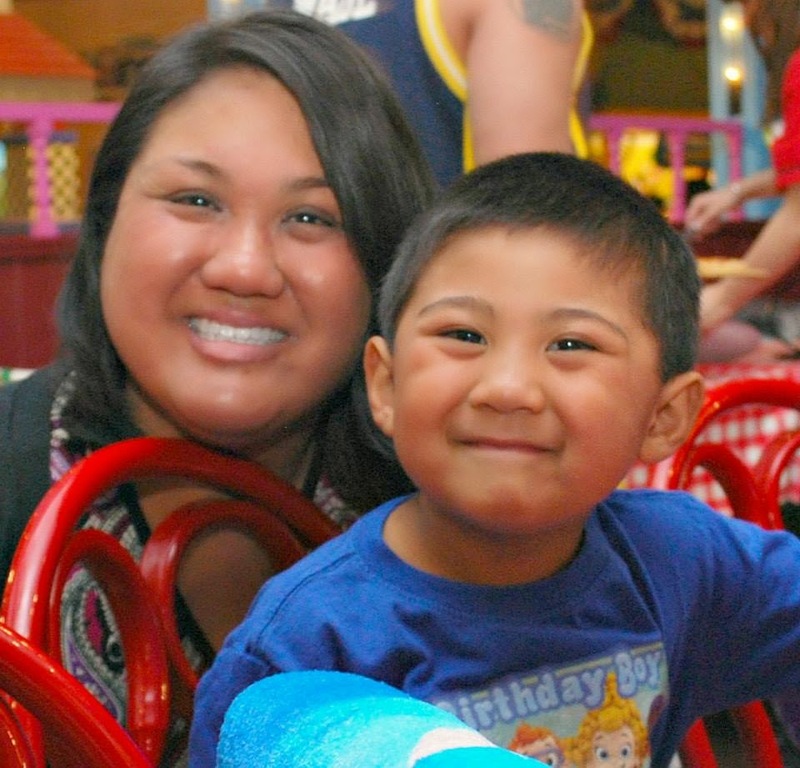 Once we had our fill of cake and ice cream, some of us headed back to the waterpark while others enjoyed the arcades. Joel and I had some time to ourselves on the lazy river and the highlight of the whole weekend was when he looked at me and said, 'Thank you Mommy... this is the best day of my life.' Just hearing him say that made all the running around, time, effort and expense all worth it for me. Sunday 5/11 - Mother's Day. I'm not too particular about Mother's Day. If anything, I prefer items I can use or having tasks done that I don't need to do. The Baron was a sweetheart when I came home on Friday because he did some extra cleaning I didn't expect him to do. Knowing how busy our weekend was going to be with Joel's birthday, he took care of things around the house which I was so appreciative of! 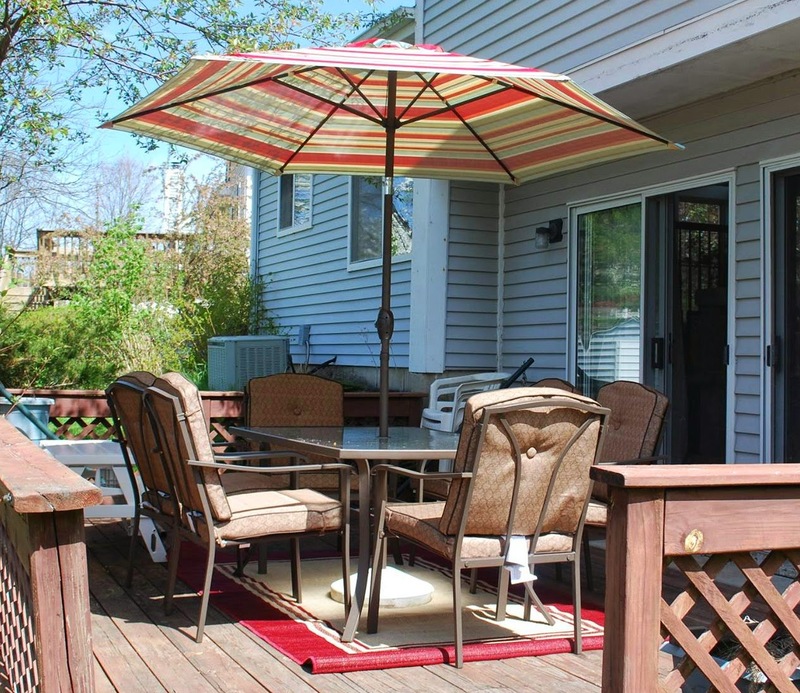 And on Mother's Day, instead of the typical brunch many folks go out for, he helped me assemble our new patio set which was something I really wanted done. Now we're ready to host a cookout with some friends to break it in! Later that day, we enjoyed time with the Baron's family and it was the best way to close out the weekend. After assembling the patio set, Joel and I took some time out to relax and read a book together. 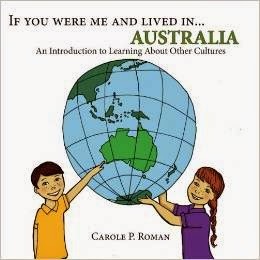 I recently got him this book - If You Were Me and Lived In.... Australia. This was such a cute book that was full of great pictures, information on the Australian culture and overall, Joel loved the book. He learned so much and I appreciate how there are some great things to learn about different places presented to children appropriately. If you have children or are looking for a great gift for a little one, definitely consider this book. There are several other countries in the book series. If you'd like to receive a copy, follow us on Facebook and shoot us a message! A random winner will be chosen by June 1st, 2014! 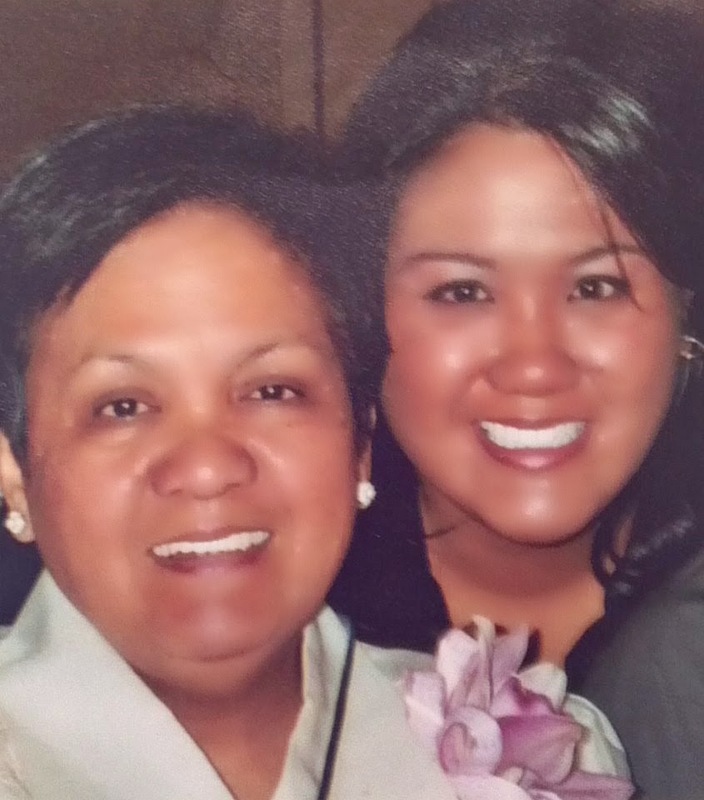 My mom is half way around the world and not being able to give her a hug on Mother's Day was a bit sad. However, I'm so glad that I have the Baron's family so close, since his mom is like a second mom to me. Hope you all had a wonderful weekend!